Steve designed and executed a wonderful front yard landscape to go with our new addition. He also had fixed a poorly made driveway and gutter problems (from our previous contractor). He has many helpful ideas and takes great pride in his work. Forever Young just finished waterproofing my basement crawlspace and did a great job that was both practical and professional looking. Since then, I am pleased to report that my crawl space and finished basement have remained dry through two terrential rainstorms. The staff at Forever Young Landscaping were professional and courteous and finished the job at the quoted price. A huge tee fell on our house during Hurricand Irene. Steve found his way over the next day, although every bridge was closed. He and his crew removed the tree, working hard and in a timely manner. Thank you! I would like to recommended Forever Young Landscaping. When Hurricane Irene came to Collegeville we called Steve Young to remove an uprooted oak tree in our yard. His crew quickly responded to our emergency and did an outstanding job. Steve supervised each phase of the work and kept us informed. What a pleasure to work with a caring person and hardworking crew. I would highly recommend Steve Young to anyone. I happen to be a repeat customer who has had extensive tree work done on his property. Huge out of control trees were cut down and carted away. The stumps were taken care of effectively. Forever Young Landscaping is an expert contractor that provides you with some truly great service. Reasonably priced, highly professional, complete and thorough. They even go the distance of trimming surrounding areas. Above all, patience will give you that extra mile. Steve and his team of professionals work weather permitting. You do not want heavy equipment moved across your lawn when it happens to be saturated with storm drainage. Who wants ruts in their yard? Everyone should appreciate that fact. Steve respects your property and will leave it the way he found it. In fact, he will leave it better than he found it. Doing a complete clean-up when he happens to be finished. I give Steve an absolute five star rating. Hire him. You certainly will be pleased with the results. The entire crew was very friendly and professional. Forever Young took down a 100′ pine tree for me. It was a very difficult job with the tree being 10′ from a busy state road, 5′ from a stone well and about 15′ from my house and power lines. The entire crew was very friendly and professional. They did a fantastic job cleaning up and left the yard cleaner than when they started. The bid was very reasonably and I would not hesitate to use them again. Great work, responsive customer service! We had water pouring in our basement from the window well. Steve came out an hour after I called and determined the problem. His team did a wonderful job of fixing the issue with the window well and also installing a new sump pump vent system. We have had no issues with water, even after many heavy rainfalls! They were fast, courteous, and finished in two days! Cleanup was above and beyound what I expected. Steve Young installed my fireplace insert and did a great job. Worked very hard and kept me in the loop the entire time. Very reasonable cost. Recommended. Commitment to customer service – highly recommended! This spring Forever Young Landscaping took on a unique and challenging job for us and we are thrilled with the results. We had an existing garden shed that was poorly installed on a huge pile of loose stones. The ramp was too steep, stones were getting into our lawn, and it simply looked unsightly. Steve Young suggested several alternatives to solving the problems we reported. We ultimately decided that we wanted it fixed properly, which required moving the shed, removing the stones, excavating the hill down to level ground, and building a proper pad for the shed to rest on. Forever Young performed all of this work with an obvious commitment to pleasing his customers, making sure we understood his plans and that the work was done to our satisfaction. In addition, Forever Young designed and installed a low retaining wall around part of our garden, up the hill and around the shed. Steve Young patiently took the time to discuss the basics of how the retaining wall would be installed, as well as tree and plant options for the garden. He went out of his way to find the plants we requested, and it was clear that he took pride in his work. We couldn’t be happier with his ideas and the results are amazing! We now have a beautiful perenniel garden with our shed nestled on the hill, with green grass meeting the striking color of the retaining wall. We love it! We highly recommend Steve Young and his team from Forever Young for quality work at a fair price. I needed a some dead limbs cut and a 50′ pine taken down and ground out. Steve and his crew were very efficient, knowledgeable, and courteous. And he had the best price. I will use Steve again for further landscaping (and contracting), and I would highly recommend him. Steve and his crew came over within a timely manner of initial contact. They safely removed the Large Ash Tree and debris. They were very professional while they were working and I would highly recommend his services to anyone. Steve and his team did a great job in taking down trees, pruning around wires, grinding old stumps, and getting rid of brush from our yard. All of this was done quickly under time constraint (just before our 6 foot wood fencing was scheduled to be put up). They were professional and made sure exactly what we wanted, and then delivered exactly what they said they would do. They are highly recommended to anyone needing tree work around their house / yard. Our Designers love to hear your feedback…. Whether your project was commercial or residential, Forever Young strives to provide superior service and project satisfaction. Our goal is to under commit and over deliver. Please offer your feedback here. I would highly recommend Steve Young to anyone. I happen to be a repeat customer who has had extensive tree work done on his property. Huge out of control trees were cut down and carted away. The stumps were taken care of effectively. 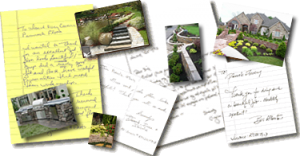 Forever Young Landscaping is an expert contractor that provides you with some truly great service. Reasonably priced, highly professional, complete and thorough. They even go the distance of trimming surrounding areas. Above all, patience will give you that extra mile. Steve and his team of professionals work weather permitting. You do not want heavy equipment moved across your lawn when it happens to be saturated with storm drainage. Who wants ruts in their yard? Everyone should appreciate that fact. Steve respects your property and will leave it the way he found it. In fact, he will leave it better than he found it. Doing a complete clean-up when he happens to be finished. I give Steve an absolute five star rating. Hire him. You certainly will be pleased with the results. Forever Young just finished waterproofing my basement crawlspace and did a great job that was both practical and professional looking. Since then, I am pleased to report that my crawl space and finished basement have remained dry through two terrential rainstorms. The staff at Forever Young Landscaping were professional and courteous and finished the job at the quoted price. We found Forever Young by accident and we are so happy we did. Steve helped us in very short time with a very large order. He was accommodating, helpful, and the price was perfect. I will be returning to Forever Young and I highly recommend working with Steve. The sale of my of my house was contingent upon the correction of some grading problems around the foundation. I contacted several landscaping companies. Steve young stood out among all of them because of his prompt responses, the number of times he called and the number of times he came out to survey the grading around the house. I am completely satisfied with the work Forever Young did. They were profesional, hard working and came in on the price quoted me. And as a result my house sold! I would highly recommend Forever Young! Steve and crew delivered excellent quality firewood to us. The wood was very well seasoned and cut to perfect size for our small woodstove. They have also done work for us in the past with tree cutting. Each time, Steve listens carefully to what you want done, and goes out of his way to make sure it is done to the customers satisfaction. I would like to say that I hired forever young to mulch my property and I was extremely pleased.Steve the owner came out and we went over what needed to be done. His guys came out and they were so polite and accommodating. I want to say in closing I would recommend Forever Young to anyone that is looking for this kind of service. Also if anyone is considering pavers over stamped concrete or just concrete please think again. Pavers are a lot of maintenance. My wife and I called several landscapers for an estimate. Forever Young was the quickest to respond. Steve was knowledgeable on trees and what worked best for us. The tree trimming in our front yard was perfect. I would highly recommend Steve and Forever Young Landscaping. Wow! is all we can say about the great job Forever Young did at our home. Thanks Steve. You and your men are nothing short of amazing. Professional, so well done. I would recommend you and have recommended you to all my friends. Called Forever Young on a last minute notice for a property tree cut that was leaning towards a property that I am servicing for the bank . Time and Price was no better then Young. He calls me at 6 a.m to tell me his working on the tree with the crew . The Crew worked fast finished a 40 ft tree about 3 ft Thick within 2 hours ! Cleaning after themselves and even doing extra from raking the leaves around the house . I never do rating and notes but on this I was impressed. Thanks for the fast response . Steve designed a wonderful front and back yard for me. He has many great ideas and takes pride in the work he does. I give him a 5 star review. I just wanted to send a note of thanks to you and especially your crew for the job they did removing the dead trees at our Royersford facility. You have a good crew there please tell them I said thanks for a great job. We had water flowing into our basement from gaps around a bilco door and poor drainage as well. Steve and his guys did a great job changing the slope along the back of my house and putting a drainage system around the bilco door. With heavy rain each of the last few days, there wasn’t a single drop of water in the basement. He also trimmed some trees and bushes while here. I highly recommend Steve and team. We had real problems with leaks into the basement around and under a bilco door. Steve came up with a solution involving repacking the dirt from a feet down and a rubber liner keeping water from going below and then topped by a drainage system taking the water away from the door. Despite many rains since, we haven’t had a drop coming in.